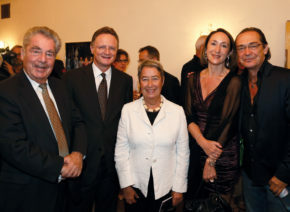 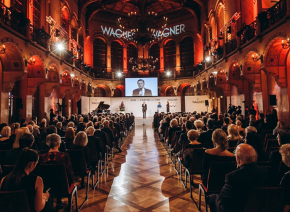 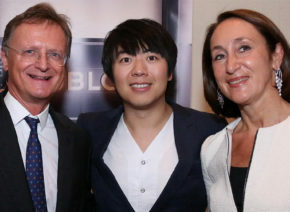 The Burgtheater recognises artists who have achieved outstanding accomplishments that benefit the theatre by extending honorary membership to them. 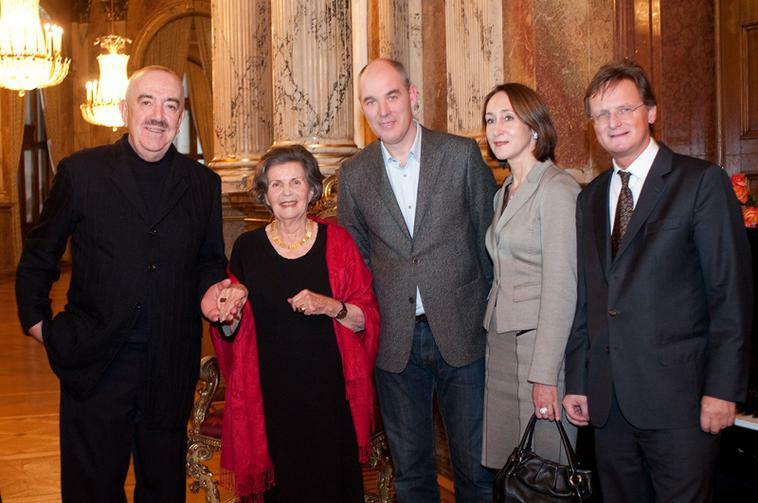 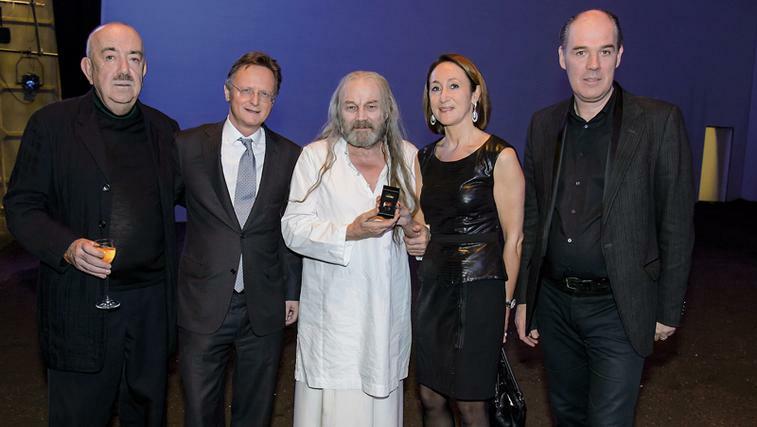 Beginning in 2010, the Burgtheater’s ring of honour will be awarded to new honorary members. 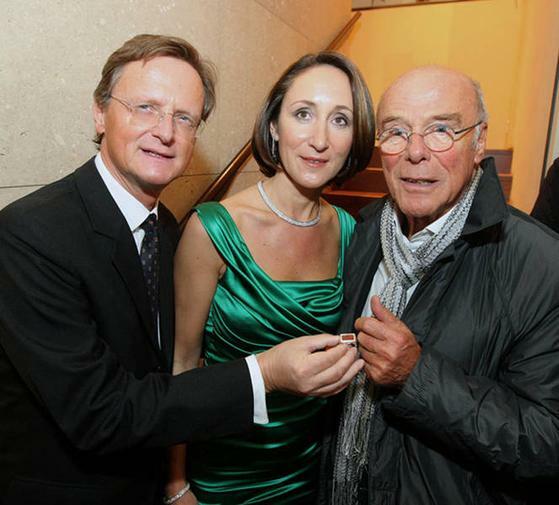 The design for the ring was created by Juwelier Wagner’s jewellery workshop. 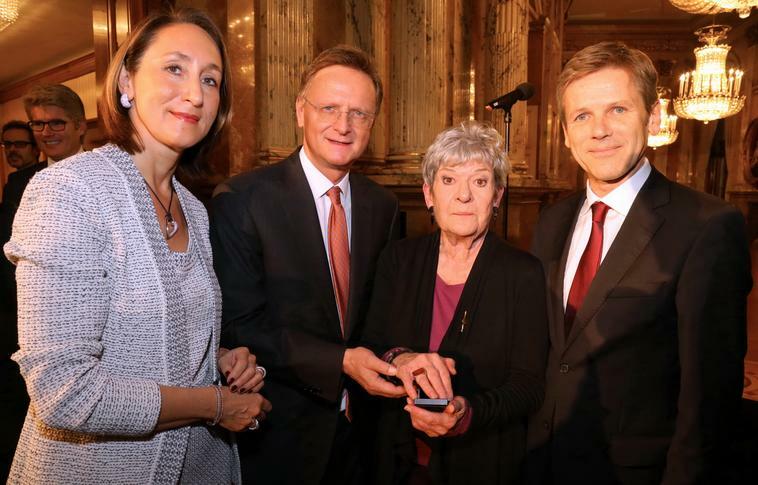 Made of 18-carat white gold, the centre of the ring is adorned with a red cornelian, the surface of which is engraved with the façade of the Burgtheater. 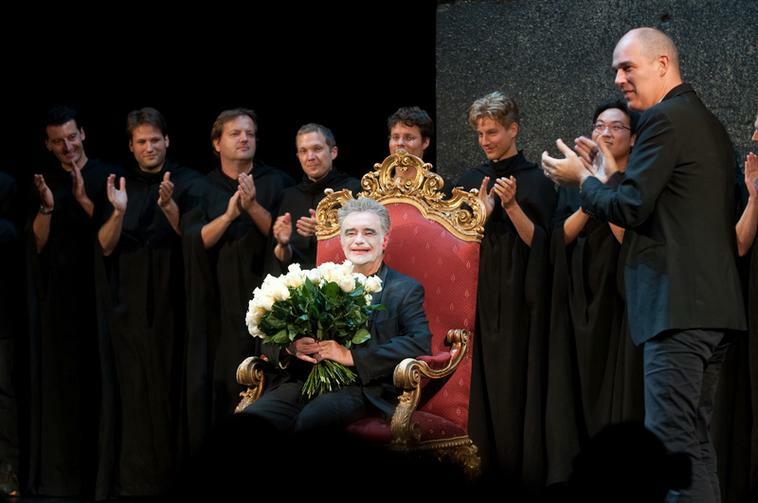 The folds of the stage curtains have been incorporated into the reverse of the cornelian, and the auditorium’s features are engraved on the inside of the ring. 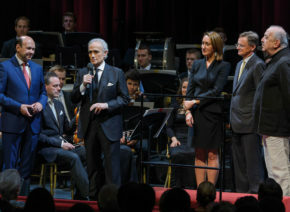 Each ring of honour is personalised with an engraving of the honouree’s name. 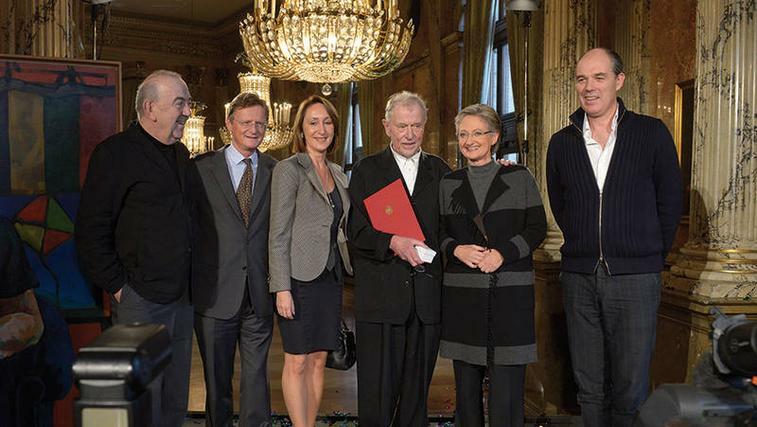 Bearers of the ring of honour are: Klaus Maria Brandauer (actor, producer), Annemarie Düringer (actress), Michael Heltau (actor), Elisabeth Orth (actress), Claus Peymann (director Wiener Burgtheater 1986-1999), Gert Voss (actor).